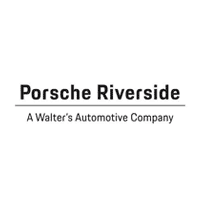 At Porsche Riverside, we take great pride in providing our customers with safe and reliable Porsche models. Sometimes, however, our finest cars might need updating when new information becomes available. Although the Porsche brand strives to only produce vehicles of the highest quality, additional improvements might be necessary to keep your Porsche model cruising safely and efficiently on the roads ahead. If a recall is issued on your Porsche vehicle, you should receive a notice in the mail. You might even get a phone call from us if you purchased your car from our Porsche dealership. When you’re notified of a recall, don’t fret. We will gladly assist you! Bring your Porsche model into our service center in Riverside, and our team of trustworthy technicians will resolve the issue immediately. Whether you’ve changed your address, or purchased a pre-owned Porsche vehicle, there might be a chance that you haven’t received notice of a recall. If you’re wondering if your Porsche has any existing recalls, we’ve made it easy for you to check. Enter your 17-character vehicle identification number (VIN) into the search tool to see if there is any recall information for your Porsche model. You can find your VIN at the top of the dashboard on the driver’s side, on your registration, or on your vehicle’s title. The convenient search tool will provide recall information from 1999 up until today. If a recall applies to your Porsche model, please bring it to our attention at your earliest convenience. We are dedicated to keeping your vehicle running smoothly on the streets! You can contact us online, or feel free to call our Porsche dealership at (877) 870-4964.